Sony lawyer’s letter to Twitter. Click for larger version. Sony Pictures Entertainment called on Twitter to stop its users from tweeting information leaked in the hack of the studio’s computer systems, saying it would hold Twitter responsible for damages unless the company complies. A Monday letter from lawyer David Boies, writing on Sony’s behalf, requested that Twitter take action to prevent people from accessing leaked Sony information and to arrange for the destruction of any copies of the information in its possession. Boies sent a similar request last week to media outlets, including the Los Angeles Times, aiming to block publication of the material. Sony “does not consent to Twitter’s or any Twitter account holder’s possession, review, copying, dissemination, publication, uploading, downloading, or making any use of the stolen information,” the letter said. Hackers have released a trove of sensitive data starting Nov. 24, including sensitive email exchanges, full-length films, scripts, executive salaries and the Social Security numbers of thousands of employees and contractors. 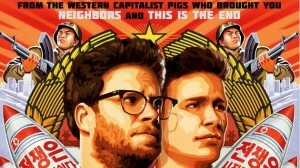 The cyberattack prompted the company to cancel the theatrical release of “The Interview,” a comedy film that centers on a plot to assassinate North Korean leader Kim Jong Un. The FBI said last week that North Korea was behind the hack. A Twitter spokesman confirmed to The Times that the company received Boies’ letter. He declined to comment further. Twitter briefly suspended the account late last week and removed a single tweet but then restored access, said Broeksmit, a musician who lives in San Francisco and has a band named Bikini Robot Army. He said the tweet contained a screen shot of emails regarding a planned Oliver Stone film about Edward Snowden. Broeksmit said that on Sunday night, a Sony executive emailed him to request that he delete “the stolen information” from his Twitter account. An email from Twitter, with Boies’ letter attached, followed the next day.